Our region is the perfect package for professional growth. 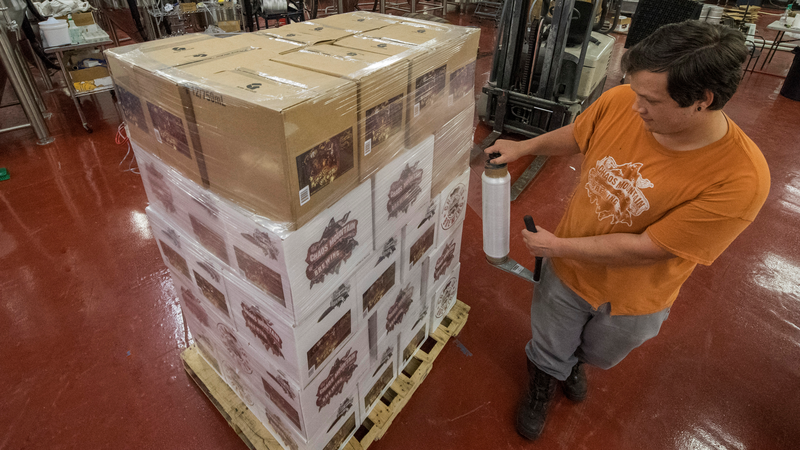 Printing and packaging are strong business segments in the Roanoke Region. Metal, plastic, and corrugated cardboard companies throughout the region employ a workforce that specializes in package engineering, as well as food and beverage packaging and printing. The region’s higher education institutions are busy preparing thousands of printing and packaging experts. The Virginia Tech Center for High Performance Manufacturing trains students to engineer solutions that cut manufacturing costs, improve operational efficiencies, and respond to customer demand. Students graduate ready for specialty careers including flexible automation, manufacturing logistics, production and information systems, rapid prototyping and tooling, and low-cost composite manufacturing. Dabney S. Lancaster Community College’s Advanced Manufacturing and Packaging Technology Program provides education resources and packaging expertise to the region. An official partner of the Packaging Machinery Manufacturers Institute, the Center and its affiliate program maintain a focus on mechatronics — integration of mechanical, electronic, and software engineering — to control advanced automation and hybrid systems.